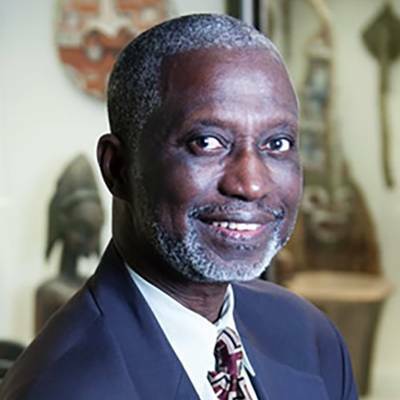 Dr. Sulayman S. Nyang is professor and chairman of the African Studies Department at Howard University in Washington, D.C., and co-principal investigator of Project MAPS. A former deputy ambassador and head of chancery of the Gambia Embassy in Jeddah, Saudi Arabia, Nyang has served as consultant to several national and international agencies and on the boards of the African Studies Association, the American Council for the Study of Islamic Societies, America's Islamic Heritage Museum, and the Association of Muslim Social Scientists. He has written extensively on Islamic, African and Middle Eastern affairs. He holds a masterâ€™s degree in public administration and a Ph.D. in government from the University of Virginia. Nyang was an advising scholar for the award-winning, PBS-broadcast documentaries Muhammad: Legacy of a Prophet (2002) and Prince Among Slaves (2007), produced by Unity Productions Foundation.